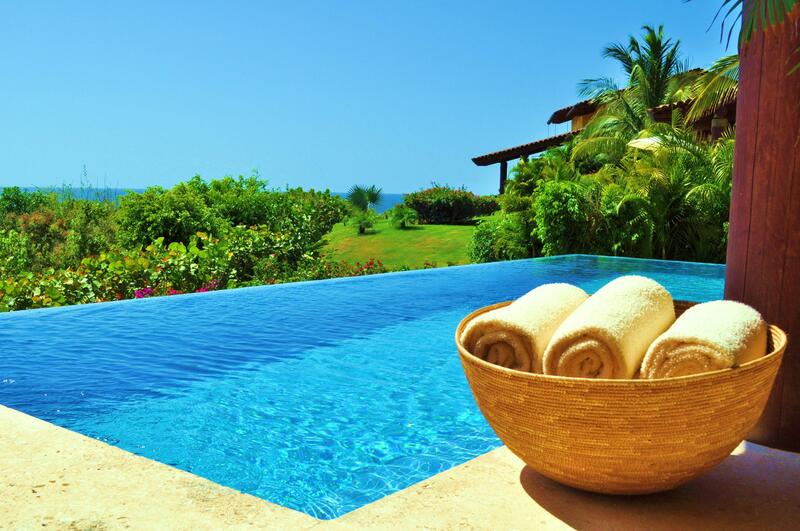 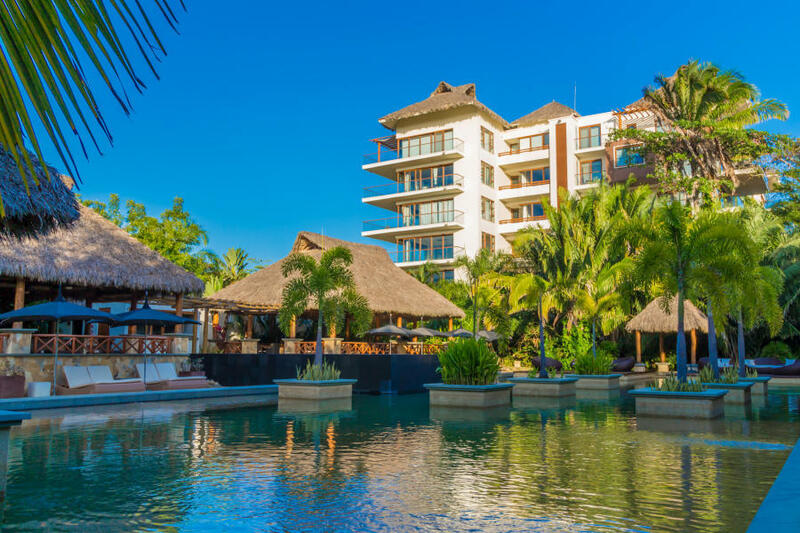 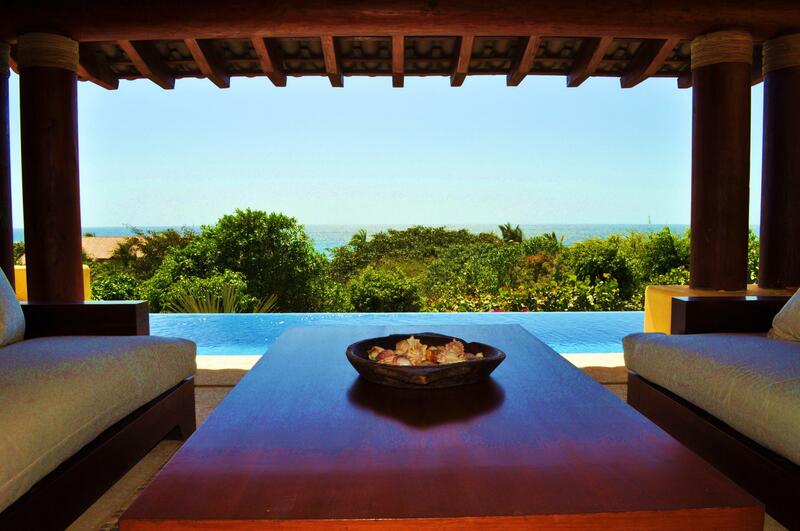 Inside the exclusive Four Seasons Private Villas of the prestigious Punta Mita Resort. 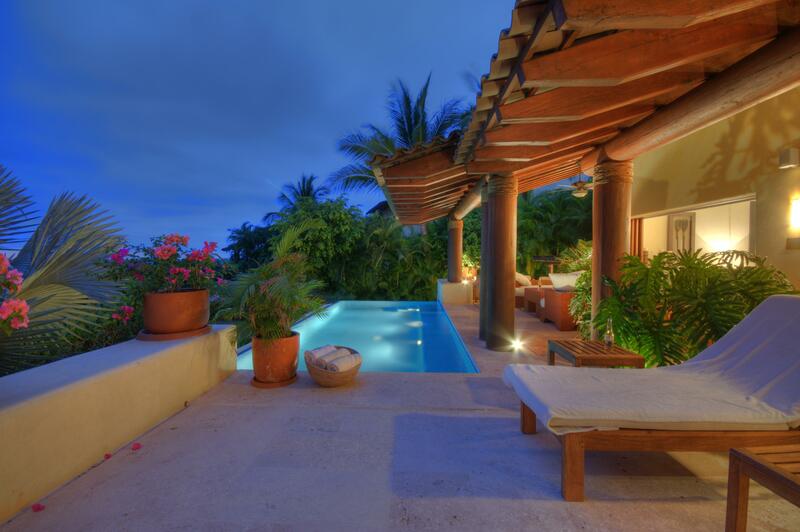 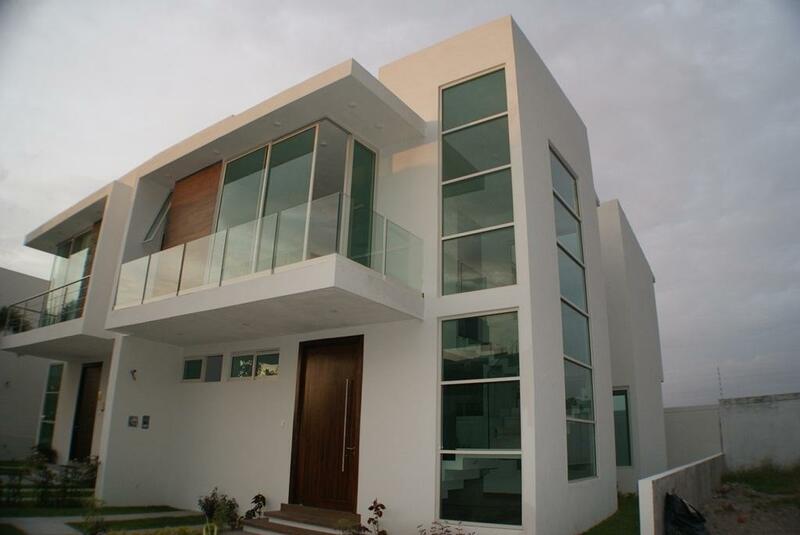 The peaceful villa boasts vivid ocean views out to the Marietas Islands and the blue Pacific. 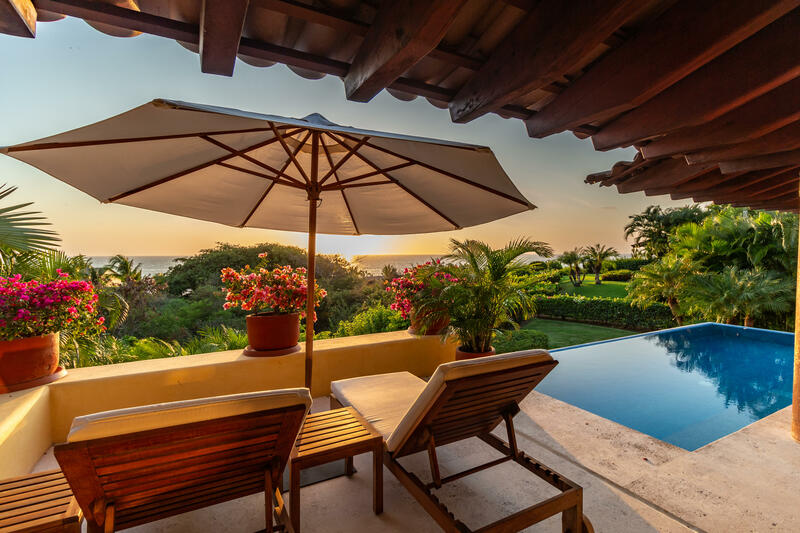 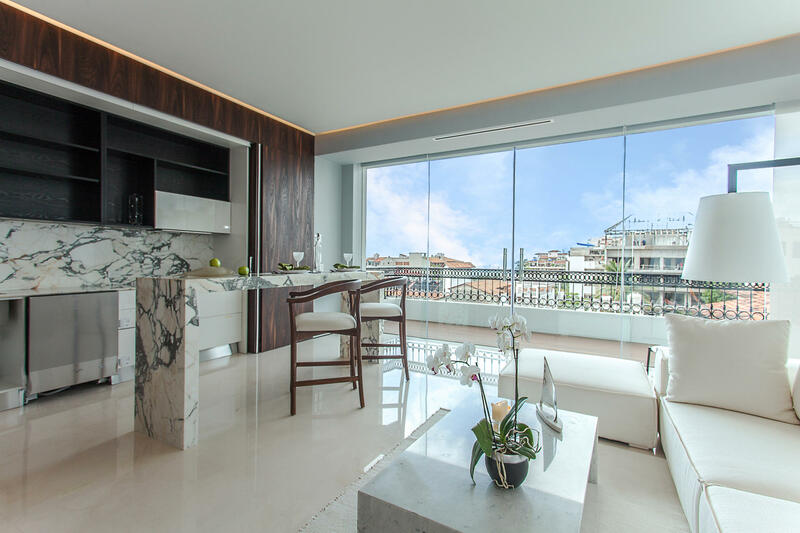 Distinguished by a private infinity edge pool, spacious covered terraces, well-maintained patio areas, gourmet kitchen and an inviting four-bedroom design, Villa 37 radiates quality and detailing. 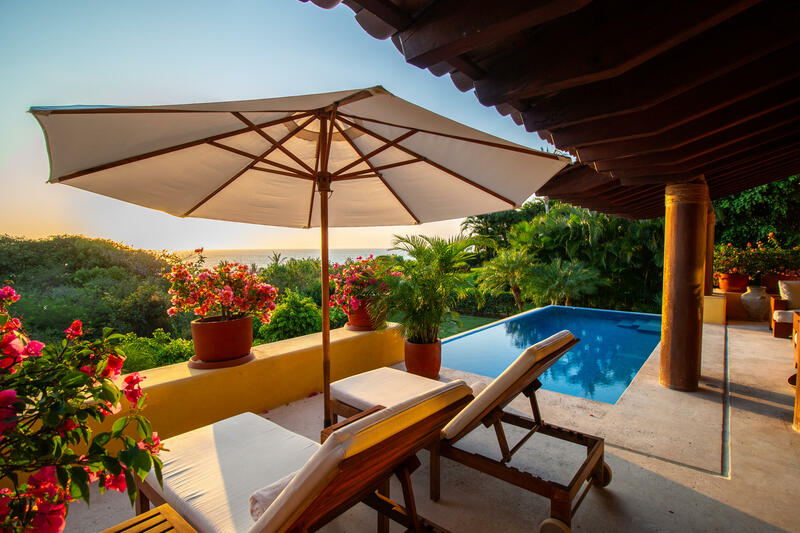 Masterfully carved antique Mexican wooden doors welcome you to your private courtyard entry, which reveals a villa that is a showcase for sophisticated relaxing Mexican coastal architecture. 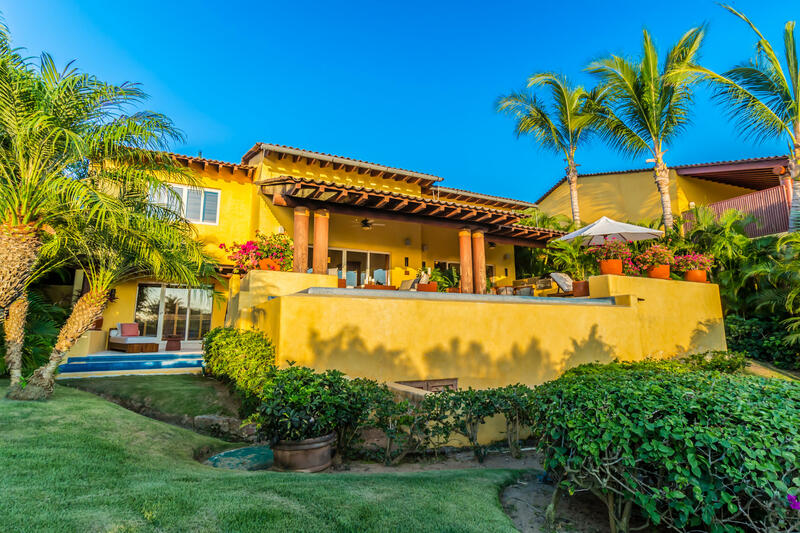 Villa 37 is a charming Primavera Model: Two-level, four-bedroom, four plus one 1/2 bath villa with exquisite marble flooring, radiant hardwood beams, private pool, jacuzzi-spa and adjacent garage for one car plus golf cart.